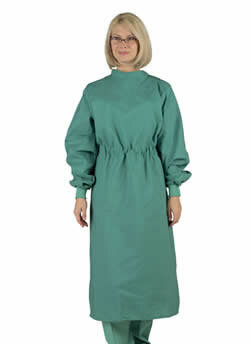 Surgical gowns are very long gowns that cover almost the entire body. These products have long arms and usually stretch beyond the knees. Their material is waterproof and prevents hazardous materials like blood and other fluids from coming into contact with the medical professionals body. 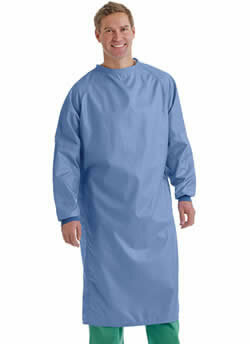 These are a necessity during any surgery to ensure the safety of both the patient and the performing surgeon. 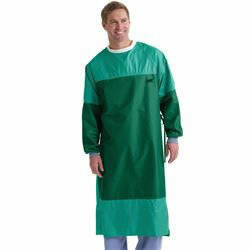 They come in a large variety of sizes and colors in both reusable and disposable models.